We are a non-profit (501c3) organization dedicated to enhancing personal development through teaching the skills of sailing. Using the unique resource of Geneva Lake, we provide the means to advance sailors to their full potential resulting in life-long enjoyment of the sport of sailing and racing. We are committed to creating an atmosphere where sportsmanship, teamwork and competitive spirit can all be enjoyed. GLSS sailors are winners when they try to do their best. 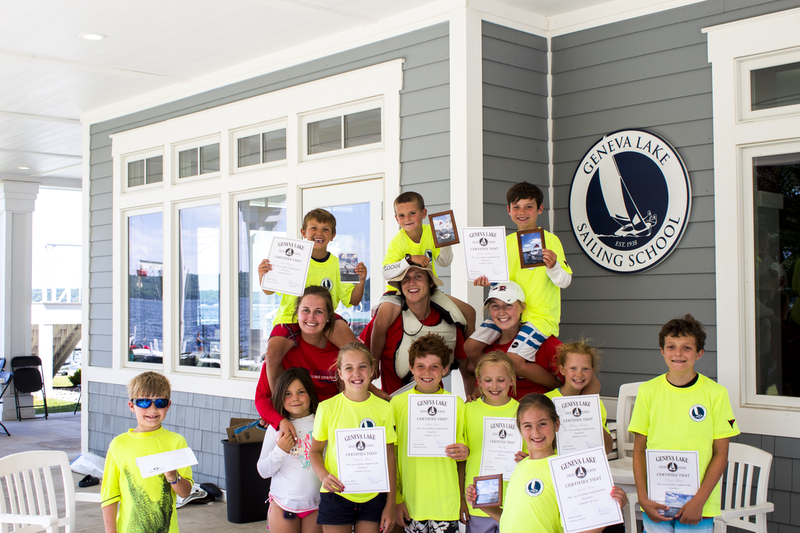 Since 1938, the Geneva Lake Sailing School has served the community with youth sailing programs that emphasize self-reliance, confidence and teamwork. In recent years GLSS expanded its keel-boat sailing programs to providing sailing opportunities to people of all ages.